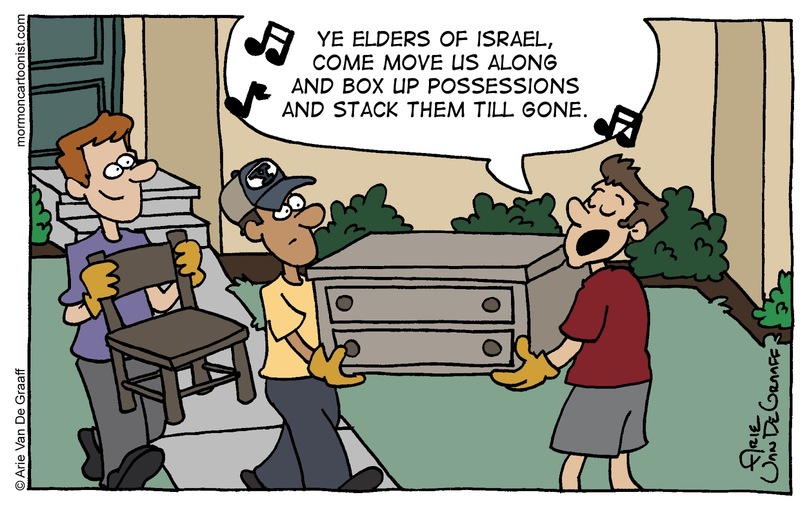 Perhaps at the next first Sunday council meeting, the elders quorums of the church could take a moment and learn the heretofore unknown fourth verse of "Ye Elders of Israel." It will come in handy the next time someone moves out of the ward. I love the smile of that guy on the left. It's catchy.